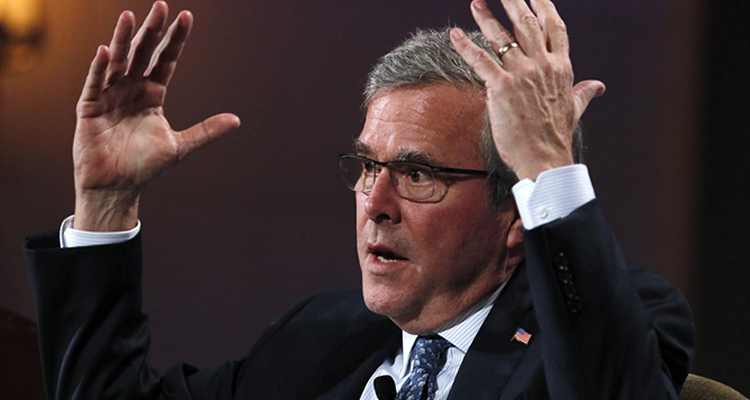 Jeb Bush won Wednesday’s Republican presidential debate by technical knockout of Donald Trump. The former Florida governor won by using his signature move the Bushwacker, the inverted DDT which propelled him to countless political victories in Florida. Historically, wrestling has been one of the key ways candidates communicate with the Republican base, and is why Trump has been able to maintain such high polling averages. It is a little-known rule that a Republican debate can be won through either submission or knockout of any opponent. The last time a Republican debate has ended this way was in 1963 when Barry Goldwater forced a submission from Nelson A Rockafeller using the Crippler Crossface.